Location when in Oia this place is one of the best. The location was perfect! Absolutely loved this place. It was close to the Main Street of shops, but also away enough from the crowds. 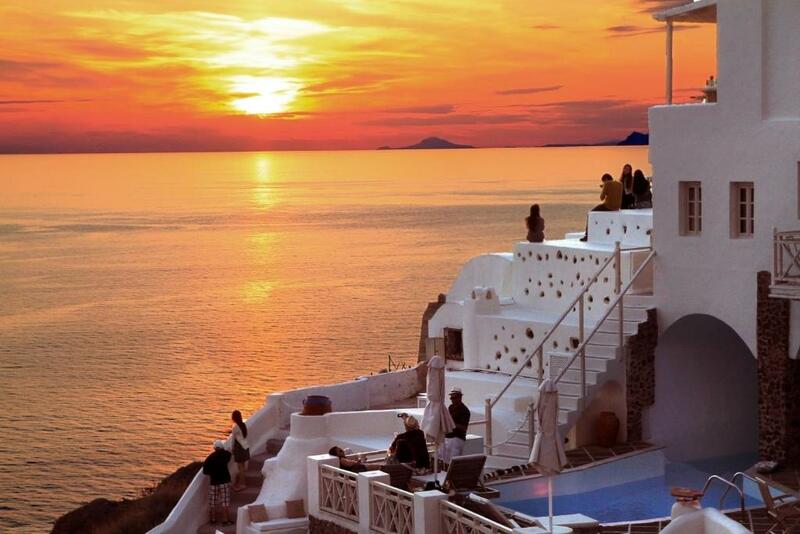 It also had a great view of the famous Santorini sunset. Just beautiful. 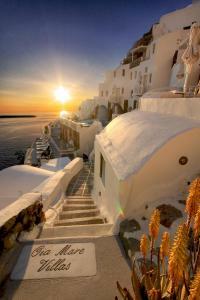 Lock in a great price for Oia Mare Villas - rated 9 by recent guests. 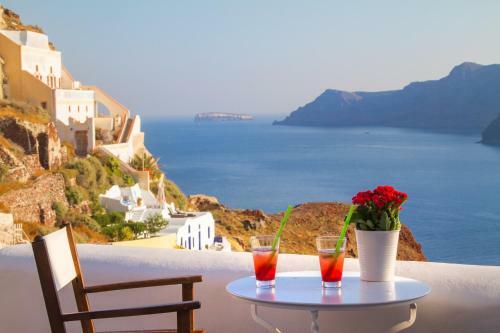 One of our top picks in Oia.Perched on Caldera Cliff and centrally located in the traditional Oia Village, Oia Mare Villas overlook the Aegean Sea, the Caldera and Thirasia Island. From the property's swimming pool guests can gaze at the sea and enjoy the magnificent sunset views. 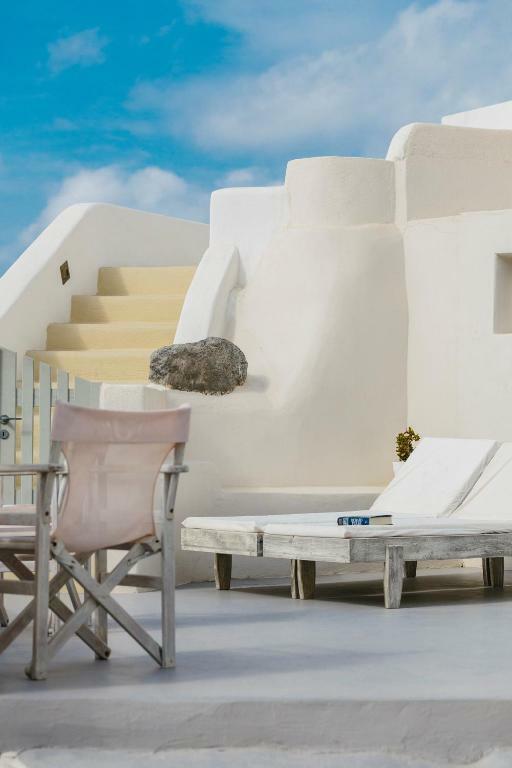 Oia Mare Villas offers cave-style rooms and suites with air conditioning, free WiFi access and a private balcony or terrace overlooking the sea. Each white-washed unit remains true to the style of the island, featuring minimal decoration, built-in beds and handmade furnishings.The bathrooms come with built-in showers, free toiletries and hairdryer. Some units have an outdoor hot tub. Guests staying at Oia Mare can easily explore the village of Oia and visit its local tavernas and restaurants situated a few steps down the cliff. The traditional fish tavernas of Ammoudi lie within a walking distance. With spectacular views of the Caldera and Aegean Sea, this charming hotel offers a secluded location away from Oia’s tourist areas, just 10 minutes’ walk from beautiful Ammoudi Bay. 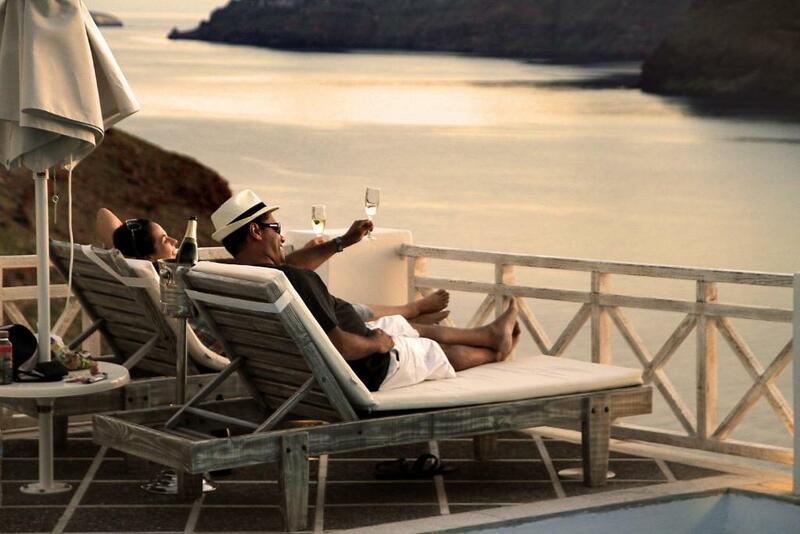 Oia Mare Villas has been welcoming Booking.com guests since 8 Sept 2009. 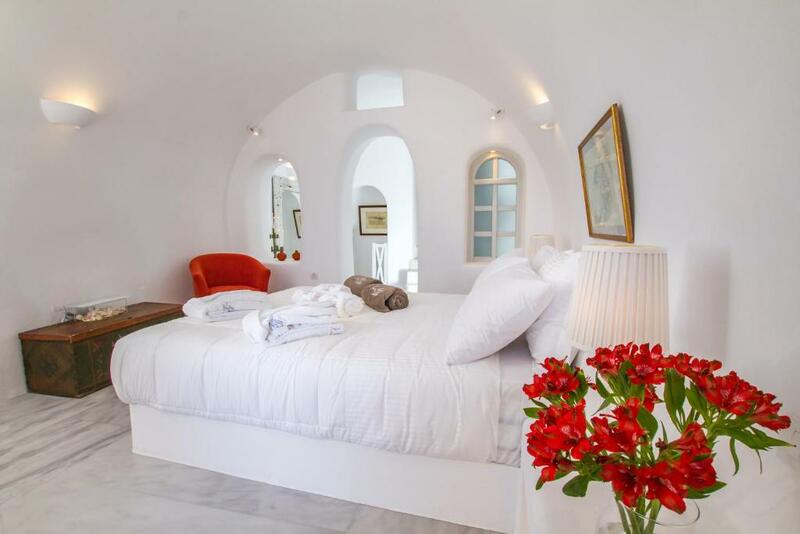 Enjoying Caldera and Aegean Sea views from its private terrace, this Cycladic-style studio has a flat-screen satellite TV, mini fridge, safe box and a kettle. The bathroom is stocked with a shower, while free toiletries are also offered. Air conditioning comes standard. Offering a private balcony with views of the Caldera and the Aegean, this Cycladic-style studio has a flat-screen satellite TV, a mini fridge, and an electric kettle. The private bathroom comes with a shower and includes slippers, free toiletries and pool towels. Air conditioning comes standard. Featuring an outdoor hot tub, this Cycladic-style decorated suite offers Caldera and Aegean Sea views from its balcony. Bathrobes, slippers and free toiletries are provided. Flat-screen TV with satellite channels, safe box and pool towels are also included. Air conditioning comes standard. Featuring an outdoor hot tub, this Cycladic-style decorated suite offers Caldera and Aegean Sea views from its balcony. Bathrobes, slippers and free toiletries are provided . Flat-screen TV with satellite channels, safe box and pool towels are also included. Air conditioning comes standard. House rules Oia Mare Villas takes special requests - add in the next step! My only minor suggestion would be to have some sachets of tea/coffee in the rooms, especially since we had cups and even a kettle in the room, but no tea or coffee without ordering room service.